Homesteading Fundamentals > Is Apartment Homesteading In The City Worth The Trouble? Is Apartment Homesteading In The City Worth The Trouble? Live in the city? Love where you live, the hustle and bustle, the efficient public transport system, the 24-hour shopping, the theatres, cinemas and other benefits of city living? But still yearn self-sufficiency, organic food, being more self-reliant? Apartment homesteading in the city is a growing (and thriving) sub-culture of people who love city life but want to return to a simpler, healthier and sustainable lifestyle that is more aligned with their ideals. Yes, it’s true. The cat is out of the bag (sorry vegans, I don’t really put cats in bags) Urban homesteading is alive and well, and there are probably dozens of them not far from where you are right now! This article really is a story of good news. The dream of a life in the country, with acres of productive land, a river running through it, fruit orchards and vegetable gardens a-plenty. Chickens free ranging on the back verandah. Sounds like bliss? And it probably is, albeit with a lot of hard work. I’ve spent my life at varying places on the spectrum. From a 3 bed home with a large corner plot on the south coast of England to a 4 1/2 acre mini farm in Armidale, Australia, and back to England, now to a lovely house in a small village a stone throw from the beach, and with a productive vegetable and fruit garden. I’ve enjoyed all of them, but the smaller plots are actually really exciting, to see how inspired and creative you can be with less space to work with. 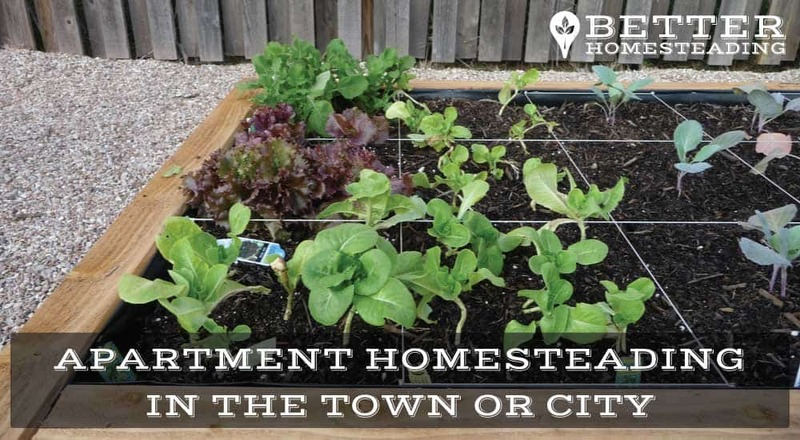 There are many ways to live in a town or city, and still practice the basic tenets of a homestead farming lifestyle. Whether you are on a large plot (lucky you), or have no garden at all, there’s plenty you can do to get started as an apartment or city homesteader. Let’s get into it, I’m excited to offer you some tips. I’ve grown food on a large scale (multiple long beds) and on a small scale, small raised beds and containers. It’s actually amazing how much you actually can grow in a very small space. Even if you don’t have a yard, pots work great for growing salad leaves, tomatoes, cucumbers, chili peppers, spinach, beans. To be honest, there’s really not much you can’t grow in pots! Fruit trees do very nicely in pots, select the dwarfing varieties of apples, pears, nectarines, cherries etc. 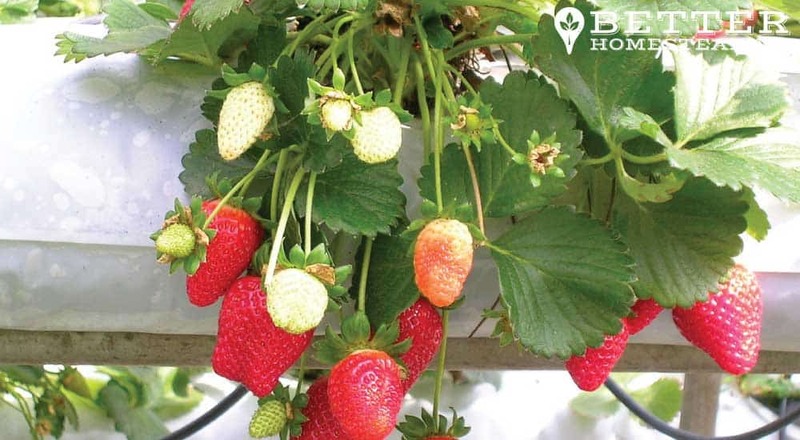 Berries of all sorts can be pot grown, strawberries are an excellent example of fruits that can be grown in small spaces. You can plant them in pots, or even in planters screwed to an outside wall of fence. Or in a planter that hangs over a balcony handrail. 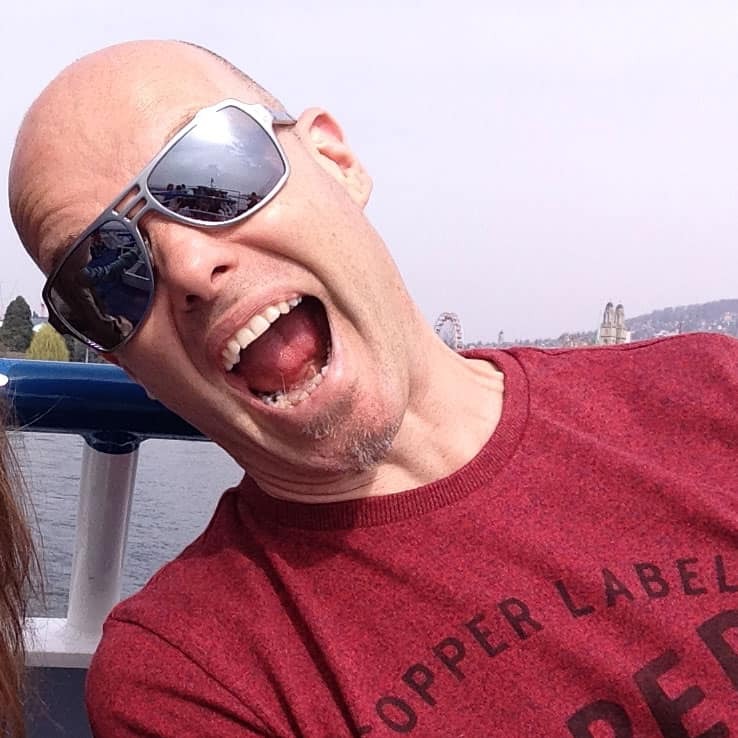 Creative thinking makes anything doable with a little artistic license. This 5 tier vertical garden planter on Amazon has an internal watering system and looks awesome for growing strawberries, vegetables, herbs, AND flowers. A herb garden with a mix of culinary and medicinal herbs can be grown in a very small space. Pots on a window sill, on a balcony in a tub or raised planter. The options are endless. Fresh herbs are always a wonderful thing to have close to hand, if they are close to the kitchen, you’ll use them. I always like to have some perennial herbs like mint, thyme, sage and lemon balm on hand, and then grow my basil, cilantro and other annual herbs each year. I was pretty surprised to find that there are soil-less herb gardens that can sit indoors all year round, with LED lighting on a timer to ensure the plants get sufficient light. There are even reminders for when to add water and nutrients to the pot. 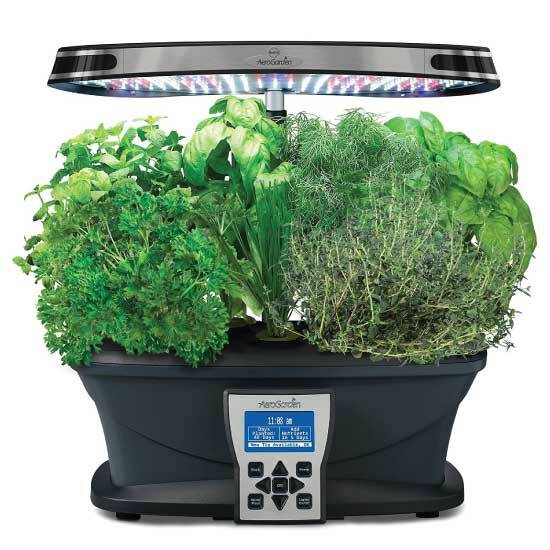 The AeroGarden Ultra allows you to grow 7 different varieties of herbs, vegetables, salad greens or flowers at the same time, you don’t even need to leave the apartment. I’m all for growing plants in real soil, but for the space-limited or house-bound person, this is a good product. Technology does some good stuff for sure, although not everyone needs one of these. If there is one thing that every homesteader or self-sufficiency seeker should learn, it’s how to ferment. If you are growing your own food, it’s an excellent way to magnify the nutritional profile of the food, with a massive diversity of healthy bacteria entering the food as a byproduct of the fermentation process. It’s also a tremendous way of increasing the shelf life of your vegetables and fruits. The Koreans love their fermented kimchi, preferring to eat it after it has aged for THREE years! Sauerkraut can keep for months in sealed jars in a cool place. Even if you don’t have enough of your own produce to ferment, you can always buy it from the grocery store or farmer’s market when there is a glut, and it’s cheap. Or join a community garden in your town or city. There will be other apartment and urban homesteaders there too. Most of these community activists share produce grown in the garden. You can then ferment for yourself, and use the excess as part of a barter scheme. Fermenting is easy, check out my articles in the fermentation category of the Better Homesteading site, you’ll learn how to ferment there. Make it a ‘must learn’ skill, you’ll be glad you did. Reducing waste, preventing compostable materials going into landfill is the indoor homesteading way to make a difference, even if in a small way. Saving your vegetable scraps and composting them will provide you with incredible organic matter to feed your home food garden, and it’s easy! People think that composting is smelly, it’s not f you do it properly. There are excellent composting bins that can be used in small spaces. For an apartment, I would be more inclined to go for a worm farm. 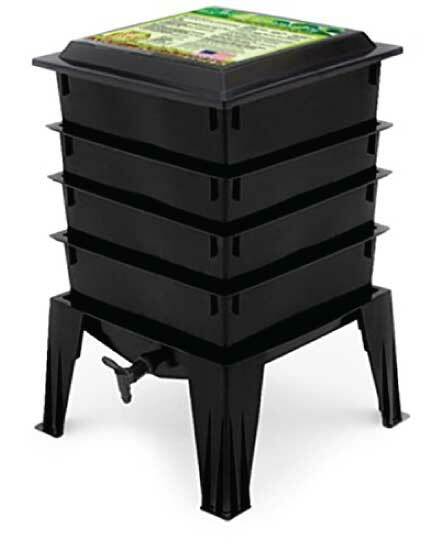 A store bought worm farm like the one pictured on the right is ideal for a small backyard or balcony. They feature multiple stacked trays, that allow the worms to migrate up and down through the unit. You take your vegetable scraps, wrap them in a newspaper, lay them in the tray and the worms move up to eat the scraps. The ‘waste’ they excrete is incredible for feeding your plants. These worm farms also have a tap, where you can drain off any liquid, which is also excellent plant food. Managed properly, these great worm farms don’t smell at all. I’ve used them many times as really like the ease and efficiency. For the city dweller with a larger plot, composting can produce a much larger volume of processed organic material than a small worm farm can, which you’ll need if you have multiple beds. But I genuinely believe that a worm farm is a great addition to the home of any person seeking to grow healthy, nutritious organic food. 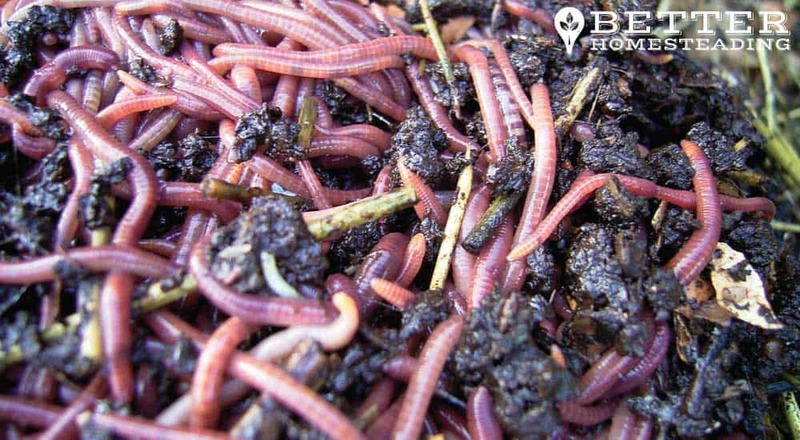 for the apartment dweller, this may be the only choice, but a worm farm is something that everyone could get great use from. Apartment homesteading is VERY possible, you can start today, right now in fact. Homesteading and sustainable living practices are not the domain if the country ranch owner on hundreds of acres. That may be an aspiration for some, but for others, playing a small part in a movement to reduce waste, improve food quality for our families, and to tread more lightly on a planet that is being ravaged by consumerism and materialism, is all that is required. It’s a very natural living lifestyle, where you can feel less guilty about the direct impact you are having on the world. You will be countering the negativity with a positive and productive ethos. If you live in a city, in a town, or even in a country location, where you have a small yard, or perhaps no yard at all, then these apartment homesteading ideas are for you. Enjoy them, and start homesteading from scratch right now, you don’t have a moment to waste. Maggots In My Bokashi Compost Bin … Help!